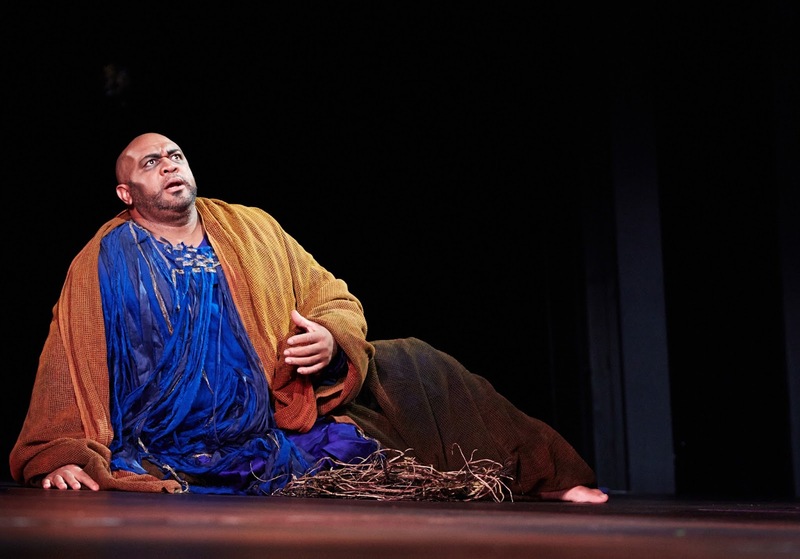 ".... (Hawkins) gave a memorable performance, particularly as a weakened fuzzy-minded old man. 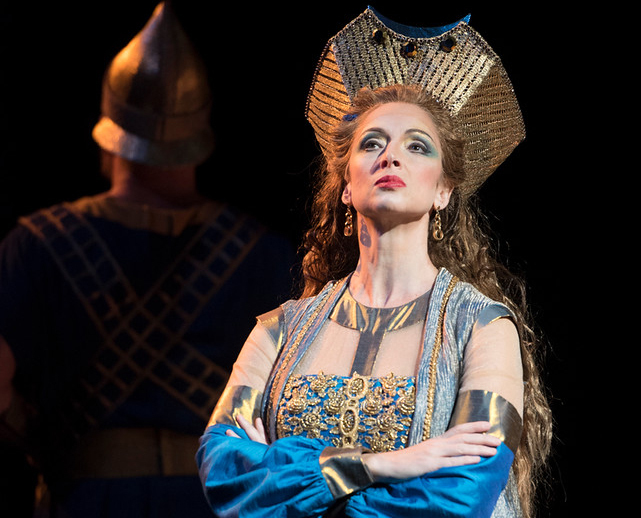 Young mezzo-soprano Jamie Barton as Fenena, new here, has a truly beautiful voice with depth and nuance. She will surely be back, while tenor Russell Thomas, another Young Artist graduate, singing Ismaele, is another it will be a pleasure to hear again. In short, every voice was a joy to hear." "As the Jews’ High Priest, Christian Van Horn lived up to his reputation as a noteworthy young bass. He had a reassuringly imposing resonance, edged with warmth that made us want to follow his Zaccaria anywhere." • A pair of princesses fall for the same guy (who happens to be the enemy). • One princess finds out she’s actually a slave. • Two people are killed—but not really because it’s just a rumor so they come back to life. • Somebody offs herself with poison. • An idol crumbles literally. • The terrarium-like Hanging Gardens of Babylondescend to earth. • Guys march around with antler-headed Gandalf staffs and debate whose god is better than whose and somebody badmouths god and—BOOM!—he’s struck by lightning, which doesn’t kill him but turns him for a while into a madman." 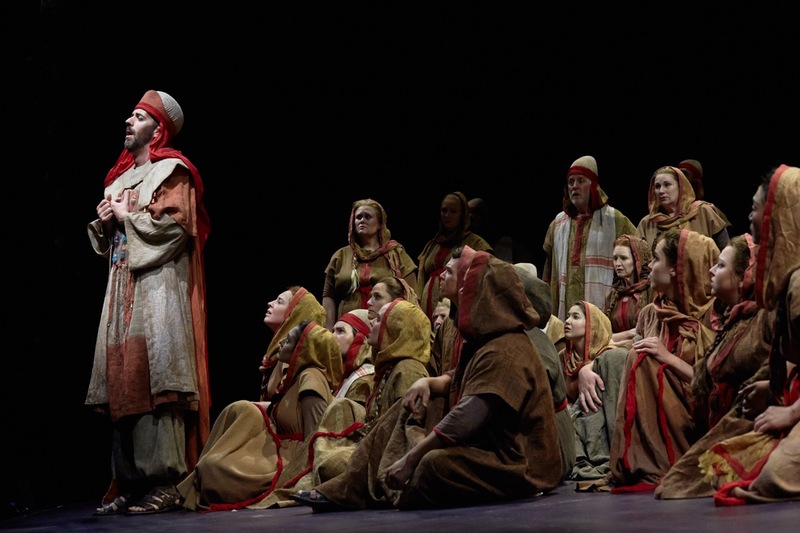 Nabucco plays now through Saturday, August 22 at McCaw Hall. 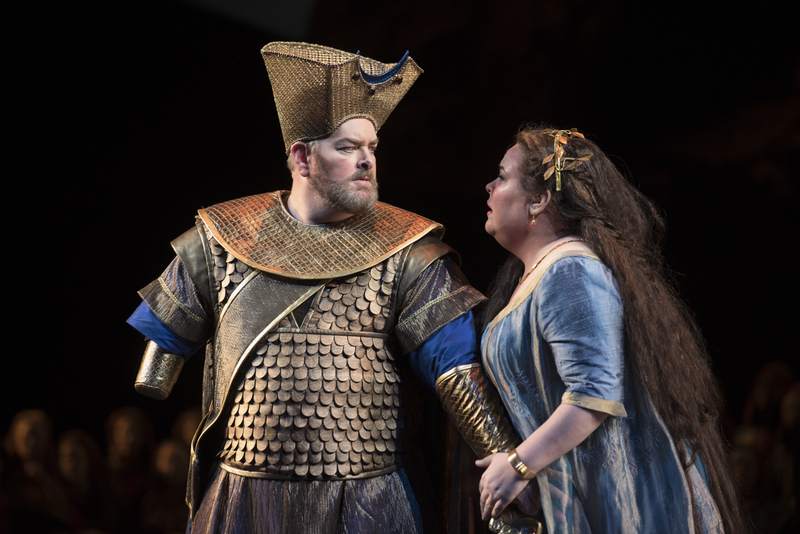 For tickets and information, go to seattleopera.org/nabucco and join the conversation on Twitter, Facebook and Instagram with #SONabucco. After you get started watching online, you would never wish to return to the outdated ways. More information on movies read here. Heaven was introduced to us in the very first portion of the series 10 or more decades ago, Check our recommendation putlocker 2017. A princess must safeguard her self before the general public. If you are more curious about fmovies usa then you can learn more about it on fmoviesusa. Some music may be used as a catalyst once and for all. Check our recommendation Watch Full Despicable Me 3 Free - 123Movies.